These criteria are then represented by a single aggregate score on a scale from 0 to 5, with a score of 0 being considered “robust” while a score between 3 or 5 would be classified as “frail.” The Johns Hopkins Frailty Assessment Calculator recognizes the need for standardized, accurate and efficient measurement of frailty in clinical and research settings. 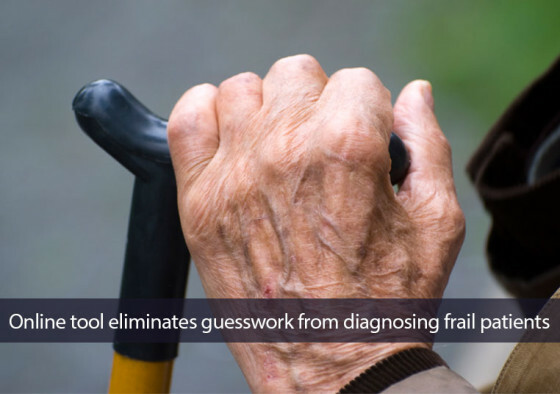 Click here to learn more about the Frailty Assessment Calculator. Jeremy Walston, MD received his MD from the University of Cincinnati School of Medicine and completed his General Internal Medicine residency at the Johns Hopkins University. Since completing his residency he has worked with a multidisciplinary team to help develop a program that focuses on the identification of age-related molecular and physiological changes that contribute to frailty and chronic disease states. It was out of these efforts that the Hopkins Frailty Assessment Toolkit was born, to help translate the findings of this team into clinically relevant interventions.